2015 Trail Maintenance Campaign Kick-off! 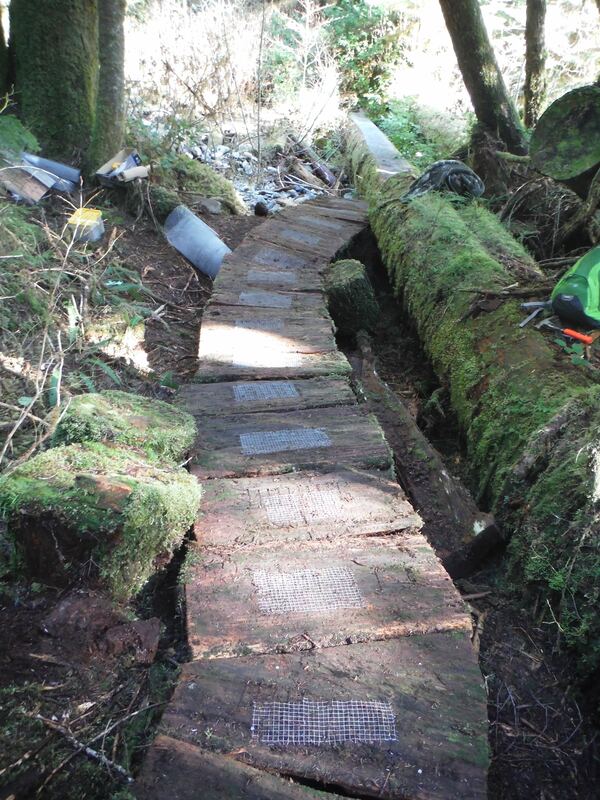 This past weekend marked the first time in nearly 25 years that the boardwalk and trails in Walbran Valley saw any significant maintenance and repair. It is an impressive testament to the skills of the original builders that the boardwalk was standing at all, much less being in fairly good condition! More than 20 of us headed up and enjoyed the breathtaking nature and beautiful trees. The Road: The road to Walbran Valley is actually maintained by logging companies, but that means that if they are not logging an area (yay!) they aren’t going to maintain the road (booo!). Some parts of the road are quite rough and require 4-wheel drive, but the smaller potholes beyond the bridge were filled with gravel and make for a much smoother ride. The Medicine Wheel: Although we currently do not know it’s origin, the Medicine Wheel is a a ring of rocks with a large cross in the middle that was built on a completely overgrown logging road spur. The path and wheel were cleared off and is visible again. I hope we discover the origin of the Wheel soon! Trail Clearing: Trail clearing has happened from time to time since the trail was built, which is the only thing that has stopped the trail from being swallowed up by the forest. 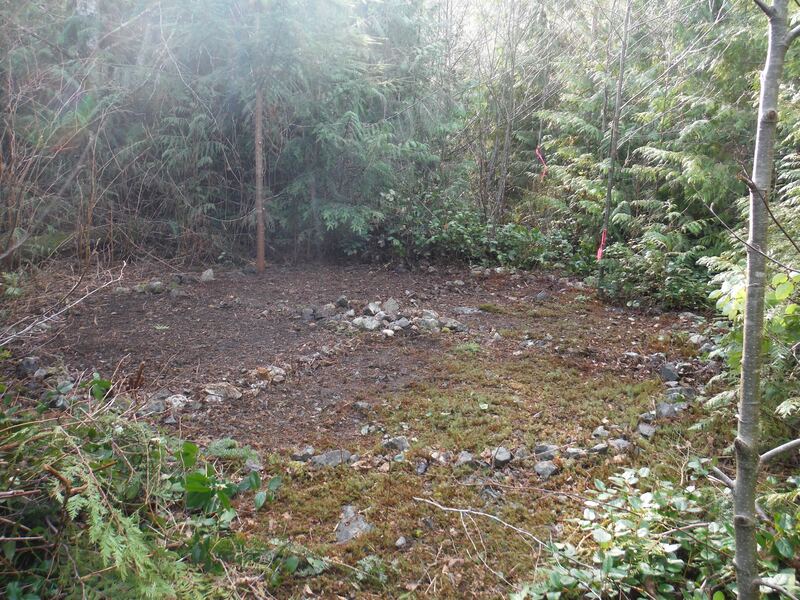 That being said, a huge amount of time was spent cutting back salal from the trail and exposing the ground. Trail clearing is an ongoing project that will never be completed so long as the forest keeps growing, but we made good progress in this area. Boardwalk Repairs: Whew – this is going to be a big job, but we have started! Thankfully, the surface much of the existing boardwalk can be preserved, although much of the foundation will need to be rebuilt/repaired. A couple of very talented arborists were able to lend their trade skills to split cedar logs into shakes that can be used for building new boardwalk. Additionally, one of our woodworkers and original trail builders started evaluating and repairing the trail, bit by bit. Thanks to our trail co-ordinator for getting the supplies together, and thank you the wonderful, talented, and dedicated volunteers who used their time and skills to improve the trail! I am very proud of all you valiant warriors for the wild. Gratitude!